Y’all! I have such an easy and way yummy breakfast recipe for you today! 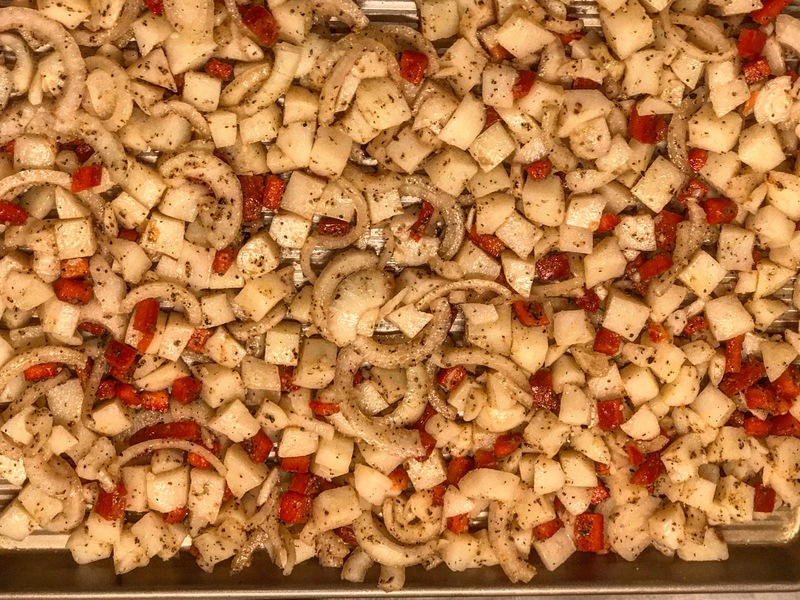 Breakfast Potatoes with caramelized onions, peppers and bacon is just what my carb heart needed! 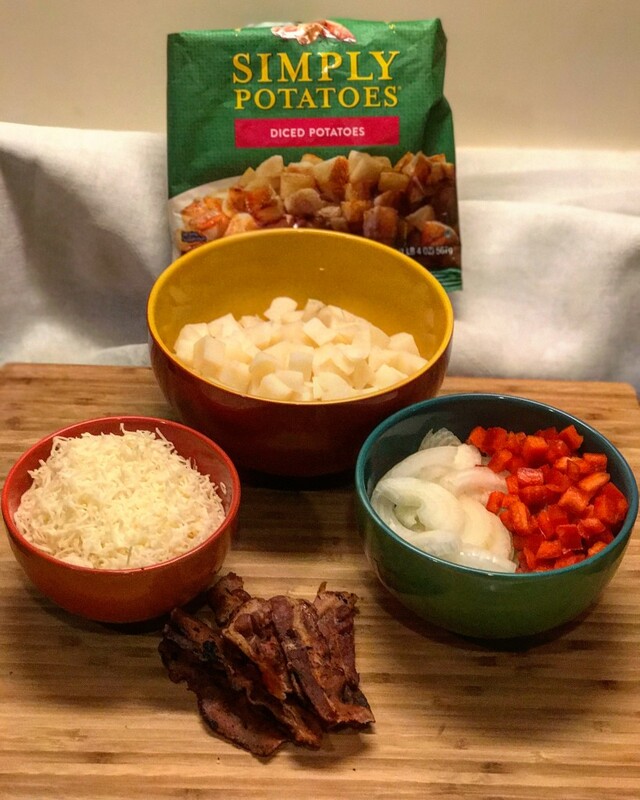 When I had the opportunity to try Simply Potatoes® already diced potatoes I was so excited! 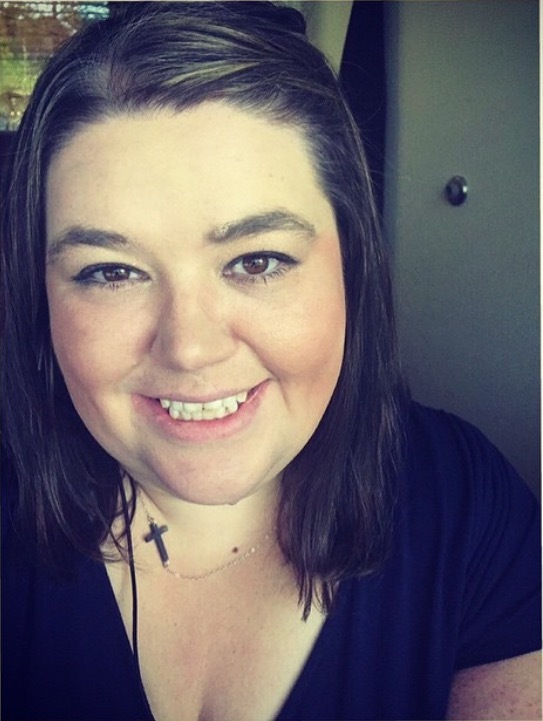 I love potatoes because I am a complete carb addict of course and will find all sorts of reason to incorporate a potato or pasta into a main dish if I can! The joy of this is the potatoes are the main dish and I love that! 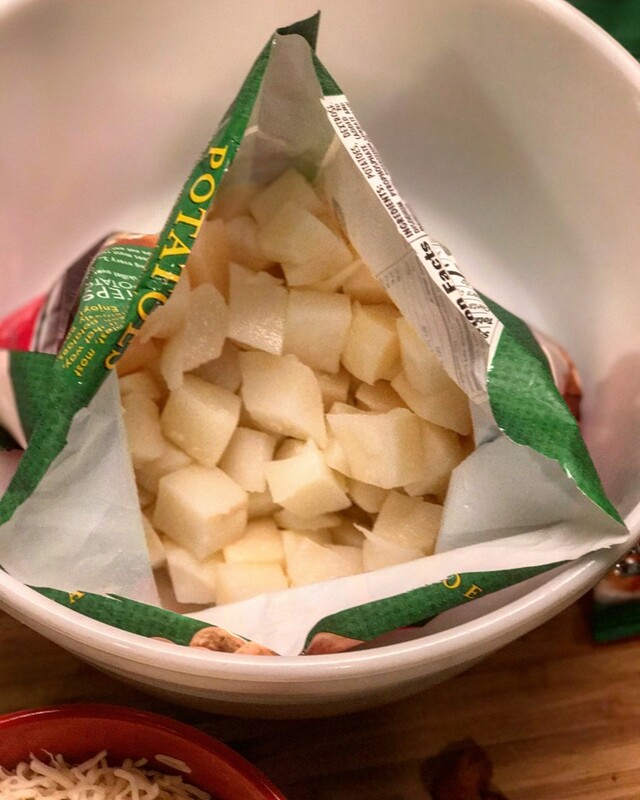 These potatoes are already peeled and diced and ready to use which shaves off at least 10 minutes from your prep. If I’m honest it’s about 20 minutes for me because I am slow when it comes to peeling because I don’t want to cut myself. The other thing I love about these is they are perfectly the same size which means you don’t have to worry about uneven cooking! 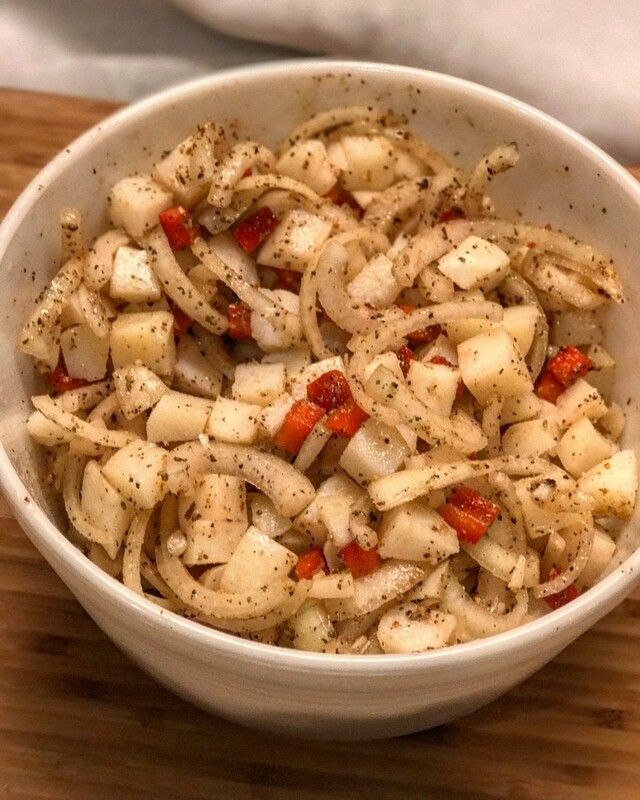 This is the one enemy I’ve always had with homemade roasted potatoes and this solved it completely! Also, one of you will win three certificates for free Simply Potatoes®! 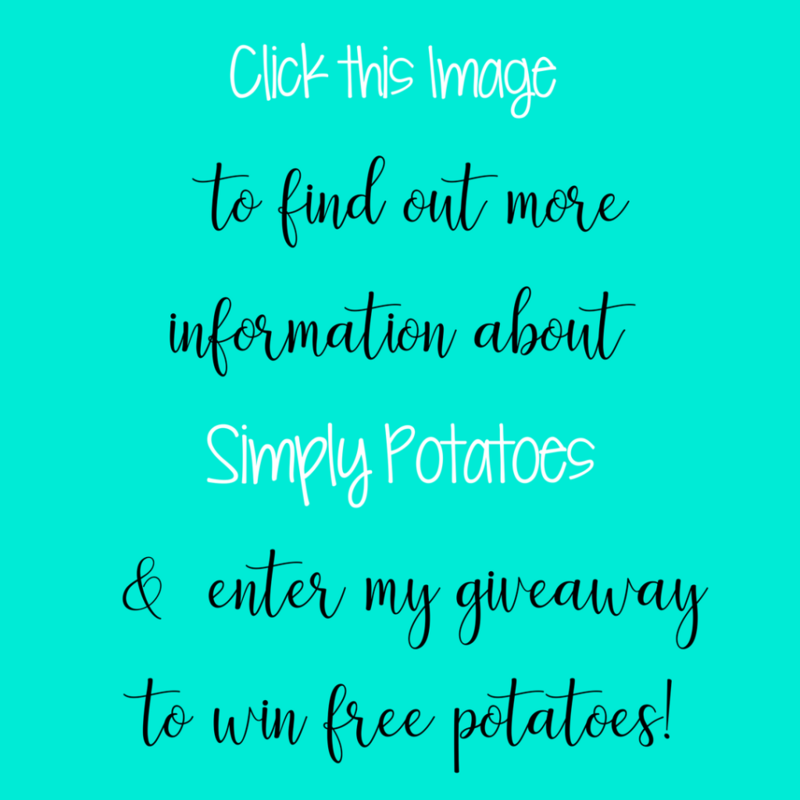 All you have to do to enter is comment below with your favorite way to eat Potatoes and you’re in! Click here to learn about these lovely potatoes!!! So, let’s get to it because I know you are looking for a simple dish to make the next Saturday or Sunday you get to sleep in with your family! This is it! You don’t have to have multiple bowls as I do because it truly all gets mixed in one but, I like to organize and distribute. Ha. Pour your pan drippings all over the mixture of veggies! Do not add the cheese or bacon yet! Once you have it all mixed well and looking lovely add your bacon! Cheese goes on in the end though! *I used an entire pound of bacon and saved the grease for the potatoes. 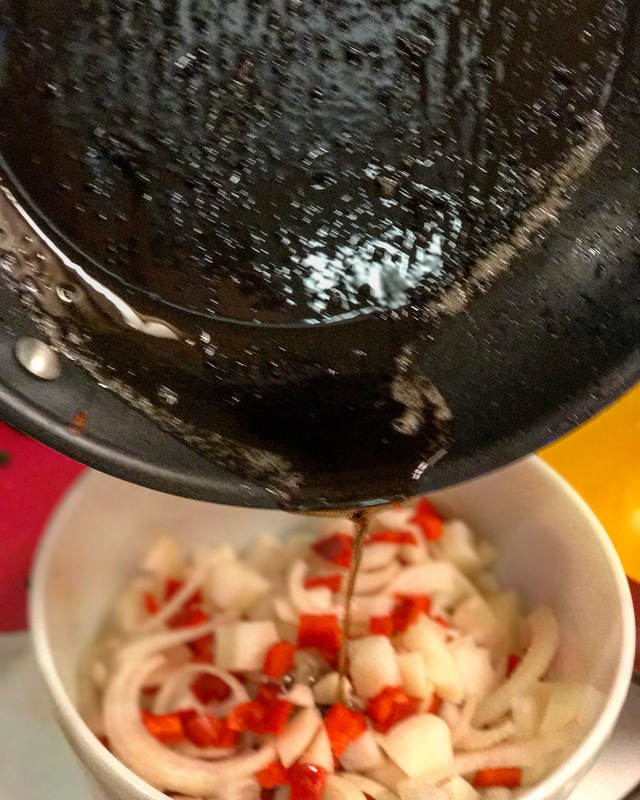 You could totally use oil if you’d rather but, this way gives it more flavor! *If you’re in a mood to have Mexican this is wonderful served with salsa, sour cream & green onions! Set timer for 30 minutes then rotate pan and using your spatula try to flip all potatoes over to allow all sides to roast! set timer for 30 minutes more and remove from the oven. Mix in the remaining bacon and all cheese! It will be amazing and perfection. serve immediately! 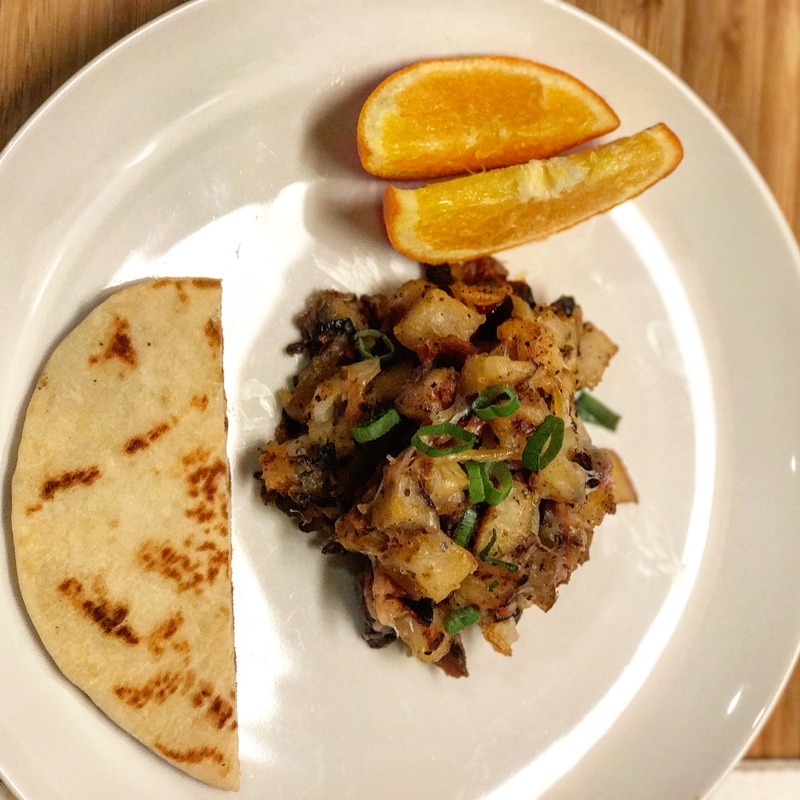 This entry was posted in breakfast, Easy and tagged #amazing, #breakfast, #brunch, #feedfeed, #food, #foodblogger, #foodie, #homemade, #HUFFPOSTTASTE, #instagram, #jenniferbakes, #nomnomnom, #pinterest, #recipe, #thankful, #thatsdarling, #thefeedfeed, #vscocam, #yum. 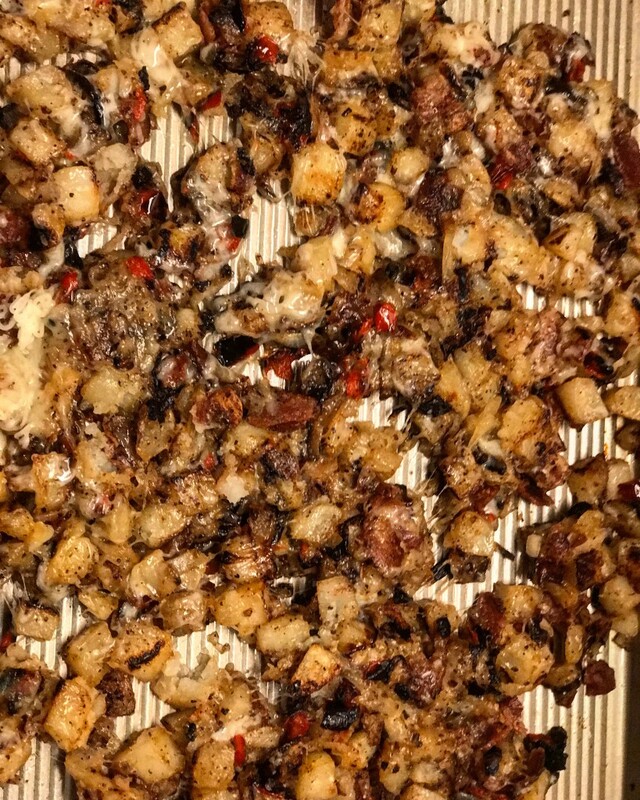 I make breakfast potatoes all the time. Never thought about adding bacon. Thanks! Bacon changes life, just saying! Ha. Happy Week! This looks yummy! Will Def. Try this…! This looks lovely. Love carbs too, so I have to give it a try. I think it would work great as a side dish as well. Definitely saving this for future. Thanks for sharing. Hey Zuzana! I agree- I used leftovers for a side the next day actually! I like potatoes in breakfast burritos.